The ‘decentring of the human’ by its imbrication in technical, medical, informational, and economic networks, “is increasingly impossible to ignore”. In simple terms, and in recent times, “it has become increasingly difficult to separate the human from the technological”. In this context, the posthuman “refers to the experience of the subject in the age of digital media”. For Jean Baudrillard this presents a problem. He is apprehensive about the technological excitement around the digital, cloning, virtual reality, virtual bodies, and so on. The human, in this scenario, becomes a prosthesis to technology and information systems. Baudrillard is critical of the ever-improving operational efficiency of technological systems such that the human becomes irrelevant to the process. In digital reduction we witness the supersession, in Baudrillard’s terms, of the symbolic, alterity, and singularity of the human by the semiotic, simulation, and the technological. The posthuman here becomes the inhuman. This is the familiar poststructuralist concentration on heterogeneity over the homogeneous. The universe of simulation aims at “a virtual universe from which everything dangerous and negative has been expelled”. In this case, alterity, otherness, difference, and negativity in their radical forms, will be its victim. Especially with the onslaught of virtual reality, the human may be likened, in Lyotard’s words, to a “poor binarized ghost”. In the light of recent innovations in robotics, prosthetic technologies, neuroscience, nano-technology, bio-genetic capital, and so on, the posthuman condition, in Rosi Braidotti’s view, “urges us to think critically and creatively about who and what we are actually in the process of becoming”. Baudrillard contributes to this critique by attempting to think beyond the pragmatism of the techno-scientists and neoliberalists and consider the alterity that is being lost in the posthuman process. 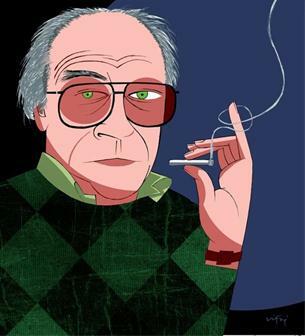 Much of Baudrillard’s later work is concerned with issues that may be deemed posthuman – cloning, artificial intelligence, transsexuality, mediated reality, virtuality, and increased networks. The specific concern is that the human is slowly but surely eradicating all ambiguity and radical otherness from life. This is part of what Baudrillard has identified as the process of simulation. The ambiguous and enigmatic real is eradicated and superseded by the copy and the clone. Understanding Baudrillard’s work, in the broadest sense, is helped by what Baudrillard calls the ‘double spiral’ of his thought and writing. This involves two antagonistic paradigms that cannot be reconciled or made subject to a higher synthesis. On the one hand are concepts associated with the semiotic such as political economy, production, hyper-reality, simulation, and the virtual. On the other are the themes associated with the symbolic such as potlatch, duality, expenditure, symbolic exchange, and seduction. Baudrillard’s theoretical target is the semiotic which reduces the symbolic and thwarts experience of the real. Self-referential semiotic sign systems, or simulation, obscures the symbolic and replaces the real. Baudrillard’s concept of the symbolic resonates with the Lacanian Real, and what he defines as ‘reality’ is largely equivalent with the Lacanian symbolic. For Baudrillard the ‘real’ is just as much a form of simulation as the hyper-real. The fundamental distinction is not between the real and the virtual, “but between the symbolic and the successive attempts to neutralise it – the real, the hyper-real and the virtual”. Concomitant with this is the possible interruption of simulation by the symbolic in singular acts and events. Smith summarises, “the double spiral traces the destruction of the symbolic by the semiotic and the ironic eruption of the former in the latter”. In terms of the posthuman and digital technology Baudrillard presents two antagonistic paradigms of virtual reality and singularity. Everyday life and culture is increasingly reliant upon networks and flows of communication and information, and the human is immersed within digital circuits of information technologies allowing for little critical distance from cyberspace. For Baudrillard, the virtual is developing into a dimension which will never become actual, or even exist parallel to the real, but which will take the place of the real. Humans become nodes and fit, or are capable of being absorbed, into a networked totality. They become exchangeable rather than singular. The “neo-individual” or posthuman is “an interactive, communicational particle, plugged into the network, getting continuous feedback”. In posthuman-technology relations, individuals have become terminals of multiple networks. In this scenario, the posthuman is becoming the virtual reality of the machine, and at a certain level of immersion in the machinery of the virtual, the man/machine distinction no longer exists. We are no longer actors of the real, but double agents of the virtual. The posthuman emerges as a prosthesis, an addition and application, to digital technology and the virtual. Generations steeped in the virtual, Baudrillard claims, will never have known the real. In essence: “The human gives way to the post-human when the virtual replaces the actual as the primary mode by which we conceptualise and experience reality”. One antidote to this would be Baudrillard’s notion of singularity (in a certain way the opposite of Vernor Vinge’s conception of the technological singularity). In a posthuman world that wants to be universal, digital, productive, and cleansed of all ambiguity, in this “culture of equivalence and calculation”, the singularity stands as, and valorises, the unique, uncertain, unpredictable, incalculable, unrepresentable, untranslatable, and unproductive. It threatens the drive towards a posthuman globalised, secure, neutralised sameness with a radical otherness. In this sense a singularity is analogous to the concepts offered by Baudrillard as antidotes to simulation, globalisation, monoculture, and the principle of equivalence. Namely, symbolic exchange, seduction, radical alterity, negativity, and death – “the most singular of singularities”. The technological posthuman goal is inhuman, against the human: “in a world that wants absolutely to cleanse everything, to exterminate death and negativity [thought must] remain humanist, concerned for the human”. Theory itself, to resist the artificial double, to resist assimilation, must be akin to a singularity, for “in its singularity thought may be able to protect us”. 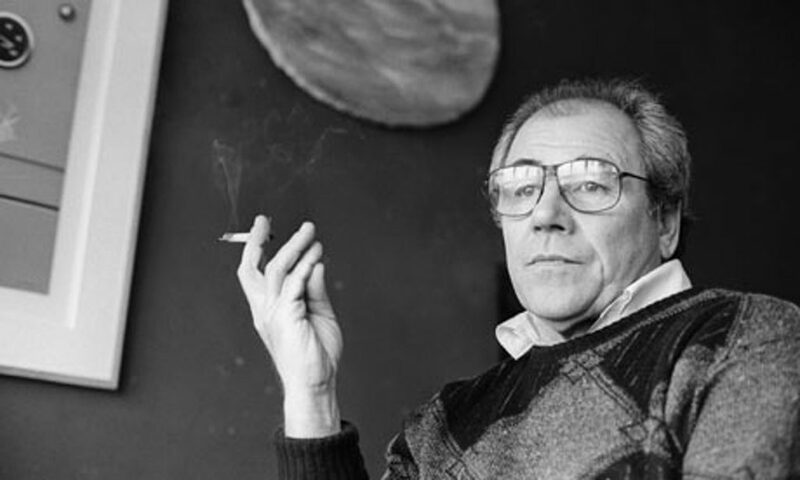 One can finally say of Baudrillard that which has been said of Lyotard: that we “see the glimmerings of a new form of humanism in his later writings” – “a post-humanist humanism”. Without the symbolic, alterity, and singularity we might be said to have lost the human. Just as for Lyotard, without difference, “we have lost the human”. This becomes all the more important as we slip irrecoverably into the posthuman “future primitive society of the digital”. Baudrillard speaks of the possible singularity of events, beings and things. A singularity might take an ethnic, religious, linguistic, or individual form. Singularity is valorised as an existential attitude. Existence under the aegis of singularity is preferred to identity (and identity politics): “[e]ach person should have an unyielding singularity”. Singularity is sovereignty, a fight for glory, adventure, a mastery of existence: in “a totalised, centred, concentric universe, only eccentric possibilities are left”. On the other hand, identity is security, a mere reference, “an existence label” in a “bloodless and undifferentiated world”.Baudrillard’s contribution to discussions of the posthuman is to posit this singular existence against, or in antagonism with, a virtual existence. Jean Baudrillard, Exiles from Dialogue (Cambridge: Polity Press, 2007), pp. 35-36. Cary Wolfe, What is Posthumanism? (Minneapolis: University of Minnesota Press, 2010), p. 121. Scott Bukatman, Terminal Identity: The Virtual Subject in Postmodern Science Fiction (Durham: Duke University Press, 1993), p. 2. Edward Scheer, “Posthuman Scenarios and Performative Media”, Performance Research: A Journal of the Performing Arts, 17: 3 (2002), p. 25. Jean Baudrillard, The Intelligence of Evil or The Lucidity Pact (London: Berg, 2005), p. 202. Jean-Francois Lyotard, The Inhuman: Reflections on Time (Oxford: Blackwell, 1991), p. 17. Rosi Braidotti, The Posthuman (London: Polity, 2013), p. 11. Richard G. Smith, The Baudrillard Dictionary (Edinburgh University Press, 2010), p. 238. Smith, The Baudrillard Dictionary, p. 58. Jean Baudrillard, Impossible Exchange (London: Verso, 2001), p. 106. Baudrillard, The Intelligence of Evil, p. 80. Smith, The Baudrillard Dictionary, p. 16. Jean Baudrillard, Fragments, Cool Memories III, 1991–1995 (London: Verso, 1997), p. 128. Jean Baudrillard, Screened Out (London: Verso, 2002), p. 68. Jean Baudrillard, The Spirit of Terrorism and Requiem for the Twin Towers (London: Verso, 2003), p. 92. Jean Baudrillard, The Vital Illusion (New York: Columbia University Press, 2000), p. 29. Stuart Sim, Lyotard and the Inhuman (Cambridge: Icon Press, 2001), p. 25. Sim, Lyotard and the Inhuman, p. 65. Baudrillard, Fragments, Cool Memories III, 1991–1995, p. 8. Baudrillard, Screened Out, p. 65.